The data set consists of treatment records of 12,059 clients at one inpatient and two outpatient clinics for substance use treatment between 1990 and 2009. Data from national registers has also been available on incarcerations, education and deaths until 2014, and on hospitalizations, taxation, and criminal records until 2010. The data has been anonymized. Kaskela T & Pitkänen T (2016). The Effects of Gender and Previous Prison Sentence on the Risk of Committing Crime Among a Substance-Abusing Population. Crime & Delinquency. 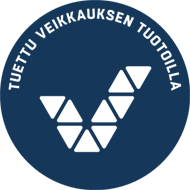 Pitkänen, T, Kaskela, T, Tyni, S & Tourunen, J (2016). Criminality among substance abuse patients: Follow-up study based on the registers and treatment records on substance abuse patients sentenced to prison. Criminal sanctions agency. In Finnish, summary in English. Mothers in the margin – women with a history of substance abuse and imprisonment. Pitkänen, T. & Kaskela, T. (2012) Conference report NSfK pages 217-228. Differences between imprisoned and other patients in opioid substitution treatment (OST). Kaskela T. & Pitkänen, T. (2011). Conference report NSfK pages 213-226.